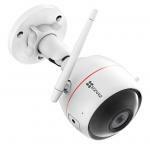 "Easy installation and good performance"
"Great little camera very hard to beat for the price. The magnet mounting system is very easy to set up and holds strong. 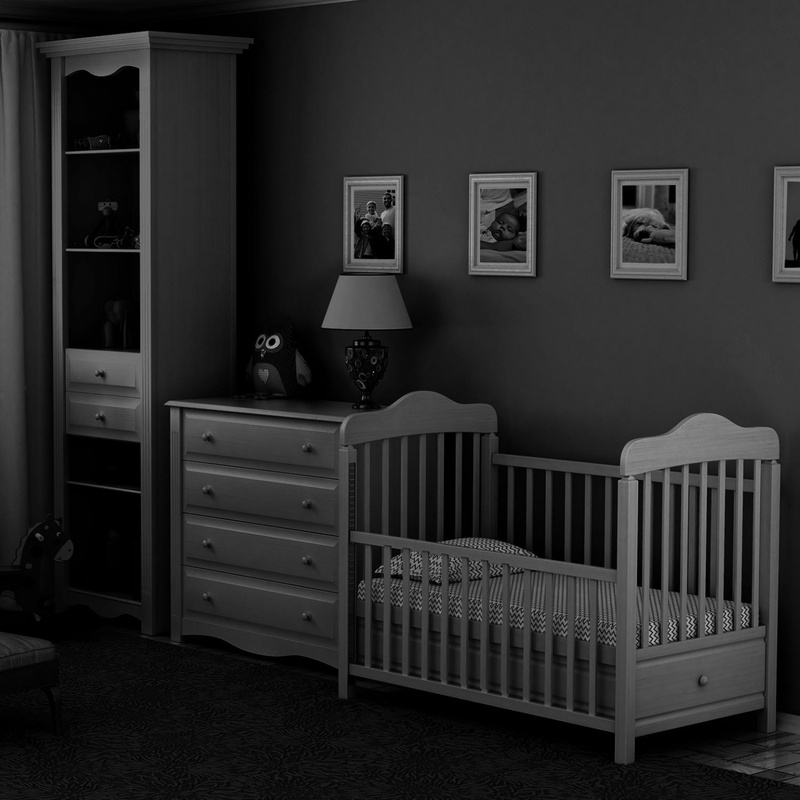 We use it to monitor our baby to check if there asleep or not and the IR on the..."
"Good product, easy to use." 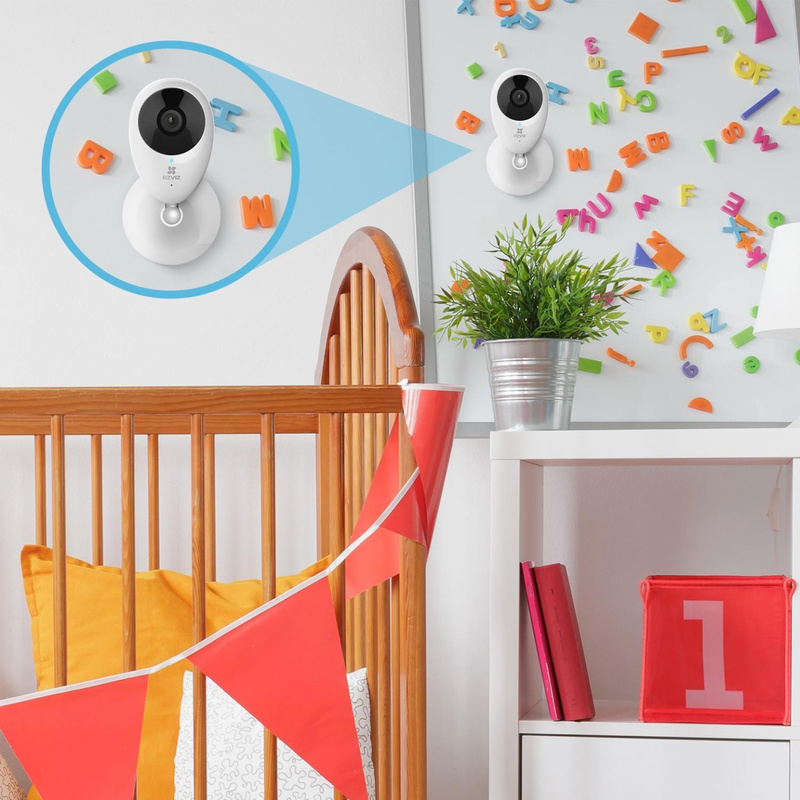 With the Mini O HD cloud camera, you can see what's happening at home no matter where you are. 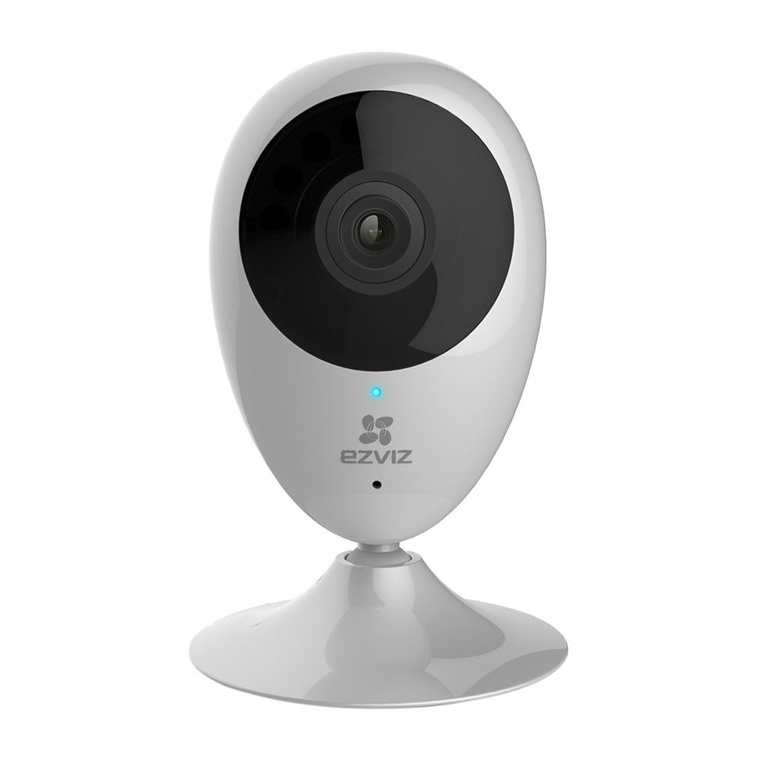 Check on family and pets anywhere you have Internet using the EZVIZ app. The app also alerts you whenever the camera detects motion, such as when a pet gets into the trash. If they do, you can use the built-in speaker and mic to tell them to stop. The Mini O provides added security by automatically switching to night vision mode for clear HD video when it's dark. When it's dark, the Mini O automatically switches into night vision mode for around-the-clock HD video coverage. The lens is encircled by IRs for clear video in the dimmest settings. 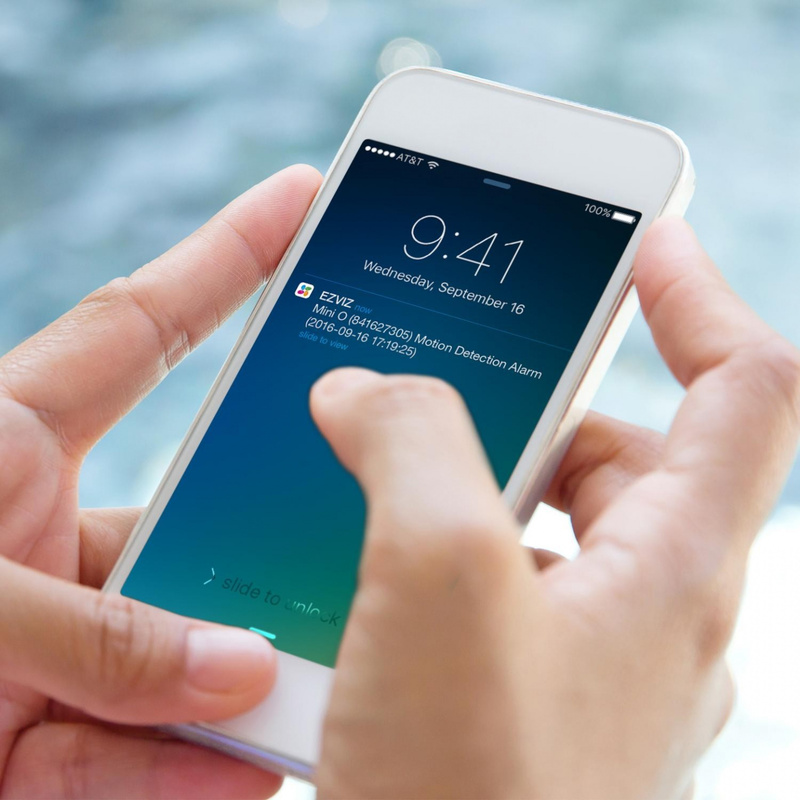 See what's happening in any room with the EZVIZ app. 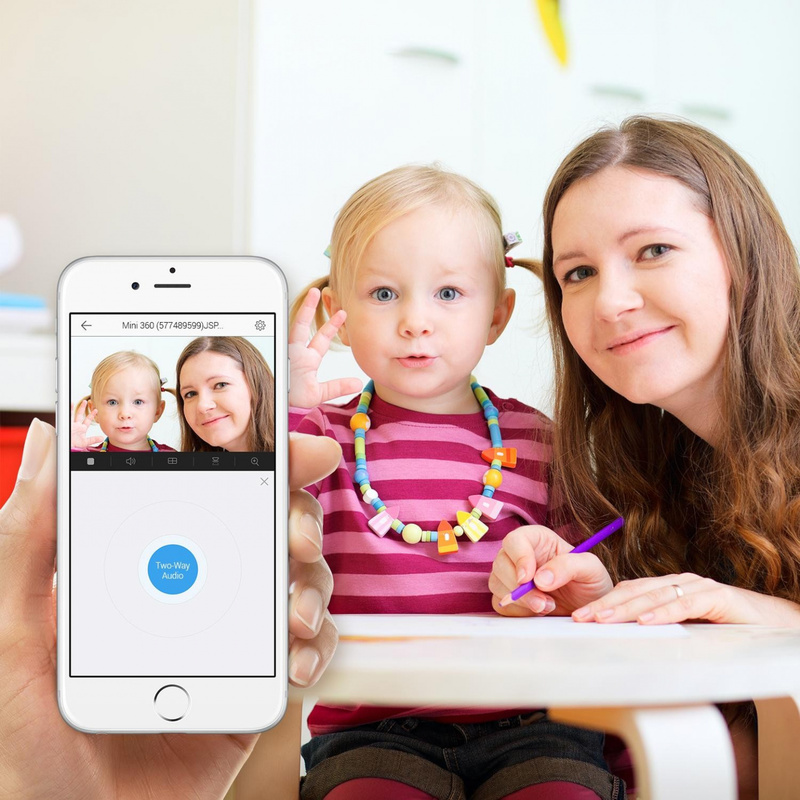 You can use it on your smartphone or tablet to see multiple camera feeds at the same time and adjust settings. Once you register, you can also view live video on your laptop or computer and share video with friends and family using secure links. 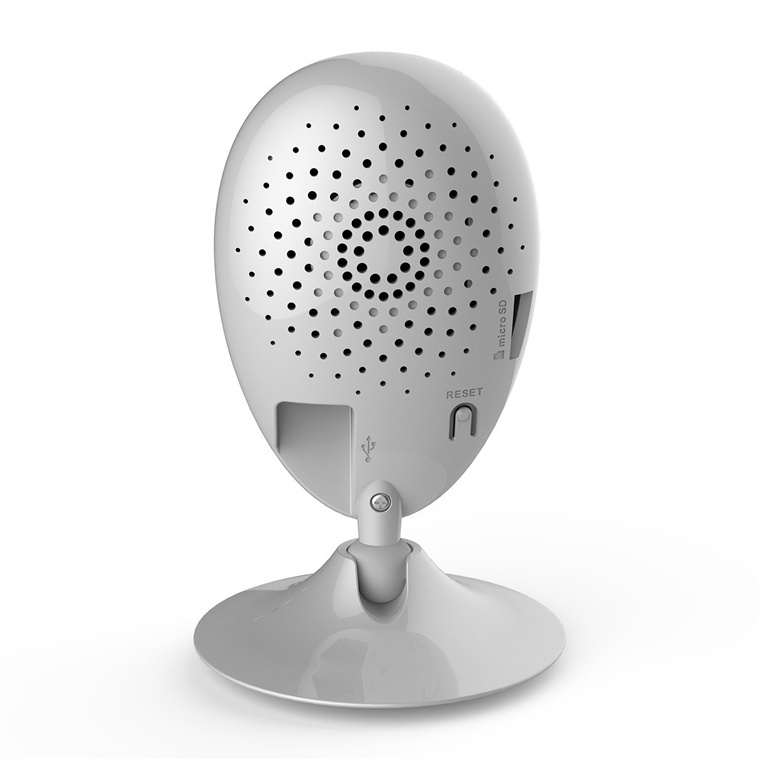 The Mini O comes with a magnetic base and a mounting kit that makes it easy to place on walls or ceilings. It connects to your network's 2.4GHz Wi-Fi band for wireless setup. Once set up, you can manually adjust it to cover just about any angle you need. The Mini O watches for movement and sends alerts to your smartphone when it does. You can use the app or your computer to adjust sensitivity settings and select the areas you want monitored. All of your video is protected by end-to-end, multilayer protection no matter where you save it, and the Mini O has three storage options. 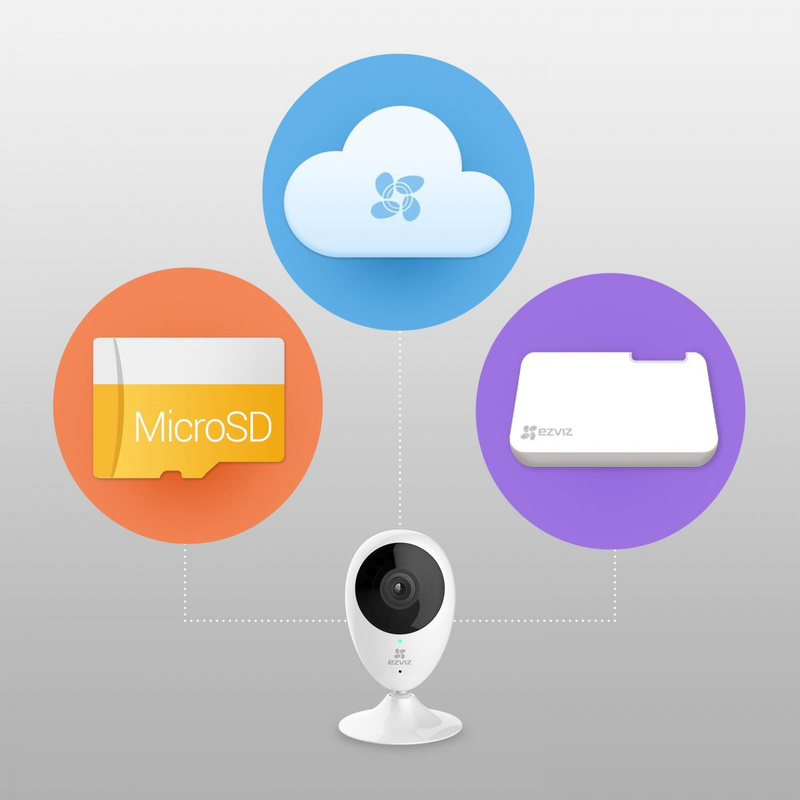 You can store up to 128GB of video directly on the camera using the microSD slot, a dedicated Vault hard drive, or directly to the EZVIZ's CloudPlay. 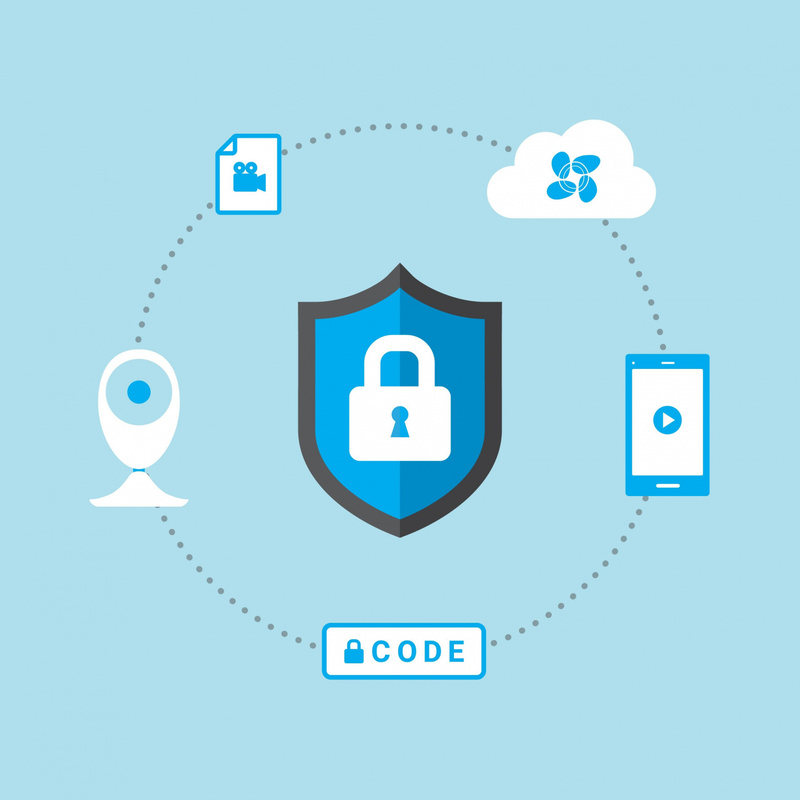 Cameras can record to all three options at the same time for added backup in case a camera is damaged or your network goes down. An optional one-month free cloud storage trial with seven-day playback is included with each purchase. Can this be hooked up to a Synology DiskStation using its surveillance software? If not, is the app and cloud service free? Does this camera use the MIPC app? Good little camera. Works well, EXCEPT for the Cloud part. 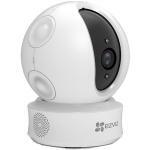 I e-mailed EZVIZ support and was told Cloud service is not available for Australia and New Zealand! So bear this in mind when you buy this!Good little camera. Works well, EXCEPT for the Cloud part. 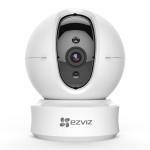 I e-mailed EZVIZ support and was told Cloud service is not available for Australia and New Zealand! So bear this in mind when you buy this! Great little camera very hard to beat for the price. The magnet mounting system is very easy to set up and holds strong. We use it to monitor our baby to check if there asleep or not and the IR on the camera works perfectly. Definitely worth the buy.Great little camera very hard to beat for the price. The magnet mounting system is very easy to set up and holds strong. We use it to monitor our baby to check if there asleep or not and the IR on the camera works perfectly. Definitely worth the buy. Hardware and software are well designed and easy to use.Hardware and software are well designed and easy to use. My first experience with this product (and brand) was not a pleasant one. I had trouble creating the account first - after getting support involved, managed to get it done after so many attempts. Then registering the product on the Wireless network didn't work at all. I gave up after multiple attempts. Finally, returned the product :)My first experience with this product (and brand) was not a pleasant one. The camera works great, easy setup instructions and quick to get up and running. The only issue we have discovered is a lack of clear instructions on how to have it record. You start recording from the phone app but no file is saved.The camera works great, easy setup instructions and quick to get up and running. The only issue we have discovered is a lack of clear instructions on how to have it record. You start recording from the phone app but no file is saved. This has got to be the easiest set up that I've done. It took all of 10 minutes to set up two cameras and it works well. Just follow the instructions get the app and is good to goThis has got to be the easiest set up that I've done. I got two of these to replace a couple of old PZT ones that went kaput. Although these don't move, they've a good angle of view and cover most of the area I need. Bit of trouble setting them up, but once up they're great. The app's a bit clunky, but it works OK.I got two of these to replace a couple of old PZT ones that went kaput. Although these don't move, they've a good angle of view and cover most of the area I need. Bit of trouble setting them up, but once up they're great. The app's a bit clunky, but it works OK. Very blurry images. Sometimes not reacting on movement at all, sometimes beeping with no reason.Very blurry images. Sometimes not reacting on movement at all, sometimes beeping with no reason. CCTEZV6001 EZVIZ BS-113A Home Alarm Starter Kit ( include 1x A1 Alarm Hub , 1x T1 PIR Sensor 1x T6 Open-close Detector , 1x K2 Remote Controller) 6 $242.60 +GST$278.99 inc.